Tomorrow is Groundhog Day. We will find out whether or not we get six more weeks of black history. Can it just be Groundhog Day already? I need to find out if there's 6 more weeks of hell or not. When is Groundhog Day? 'February 2nd, why do you want an early spring?' Nah, I just really appreciate groundhogs. Today is Groundhog Day, spread the word on this very important holiday, said no one ever. It's groundhog day. Umm..so..if I see my shadow in the morning, I can...sleep for six more weeks? Yeah, I like that one, lets go with that. I don't have a date for Groundhog Day. I guess that means an extra six weeks of sweatpants. Happy Groundhog Day! I pray for that little guy to bring spring. You know America is backwards when Groundhog Day is a holiday and the Super Bowl isn't. So, tomorrow is Groundhog Day...and I guarantee I will see my shadow...so that means 6 more weeks of drinking. Groundhog Day is celebrated on February 2nd, worldwide. Groundhog is a reddish brown North American marmot. Groundhog Day is used to describe a situation in which a series of events repeat themselves in a cyclical fashion. On a cloudy day as per the folklore, people stay awake at early mornings to watch the behavior of the Groundhog. If the Groundhog comes out of the burrow then the spring will come soon. Otherwise if the Groundhog sees its shadow and retreats back to the burrow, then winter will stay for some six more weeks. In certain states, Groundhog Day is celebrated with early morning festivals to see Groundhogs coming out of their burrows. In certain states like Pennsylvania, the Groundhog Day is celebrated with a lot of cheer and enthusiasm. 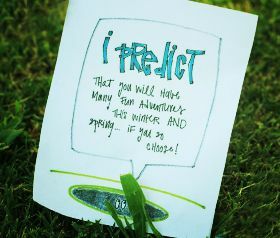 Groundhog Day is related to weather prediction and is an amazing day to be celebrated by getting one with nature.